As a real estate team that works everyday with investors, we come across a number of clients who are curious to know more about property 1031 exchanges. Also commonly referred to as a “Starker Exchange” or a “Like-Kind Exchange”, this tax loophole can truly pack a punch! Here is a high-level introduction into the tax-saving law and how it applies to those considering investing in Idaho’s real estate market. To simplify, IRS Section 1031 covers "exchanges" or “swaps” of specific investable assets (such as real estate). In essence, a 1031 exchange will allow an investor to defer paying any taxes on the profit of a property when it is sold, as long as another “like-kind” asset is purchased using the profit received. What are the rules for a 1031 Exchange? As with most tax laws, the rules governing 1031 exchanges have to be carefully acknowledged and followed. Working with a professional agency that fully grasps the law (and all of its intricacies) is strongly recommended. At a high-level, in order to qualify for a 1031 exchange, an investor needs to sell a property that has appreciated in value and then immediately place the proceeds from that property into an escrow account with an intermediary. The investor then has a certain period of time to use those proceeds to buy a replacement property. If the investor fails to follow the requirements for the exchange, he/she may be taxed on the full capital gain. 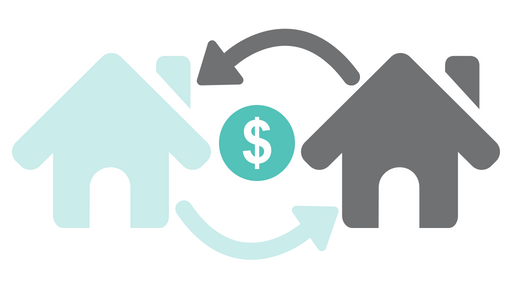 When considering a 1031 exchange, there are two crucial factors to keep in mind. The first element is that both pieces of real estate exchanged must meet two critical criteria – they must be “like-kind” properties and “qualifying” properties. “Like-kind” simply means that both real estate properties being exchanged must be of the same type or nature (even in cases where the assets vary in quality or grade). So, exchanges between two pieces of real estate, regardless of their use, would qualify as a “like-kind” exchange. For example, a single-family residence could be exchanged for vacant land. A “qualifying property” means that both properties must be classified as being properties that are held for either investment reasons or for a specific, productive use in a trade or business. Vacation homes and personal residence properties typically do not qualify. The second critical factor to keep in mind is timeline. 1031 exchange investors must adhere to two different, and very specific guidelines. There are no extensions allowed for either of these rules. First, the 45-day rule. This rule means that a replacement property must be identified within 45-days of the sale of the property being sold. Second, there is the 180-day rule, which basically means that the replacement/new property must be purchased within 180-days of the sale of the property you are giving up or the due date stated on your tax return, including extensions, whichever deadline comes first. Again, there are no extensions allowed for either of these rules. What should investors looking at properties in Idaho keep in mind? First, it is key to identify an impeccable Realtor® who fully understands 1031 exchanges and can help you identify and outline your unique investment goals. While outlining your goals your Realtor® should be able to help you look at the full picture and point out potential considerations that you might have otherwise missed. For example, it’s important to take into consideration more than just rent-to-purchase price ratios. Some examples to consider include deferred maintenance costs, utilities and/or upkeep costs. When it comes to investing in Idaho, and specifically within Idaho’s Treasure Valley, one thing that routinely surprises out-of-state investors is the large range of property taxes. Property taxes vary greatly across the valley and are thus an important element to keep in mind when working with a 1031 exchange. With 1031 exchanges there is no “one size fits all”. But the rules are finite and must be meticulously followed, which your Realtor® and intermediary should be able to guide you to do. Decide to Sell with a 1031 Exchange: As excited as we are about 1031 exchanges, not every purchase is worth doing a 1031 exchange. After all, with all the requirements, costs and time specifications, simply paying taxes may be advantageous. This is something you will need to determine with your trusted advisors. Find a Qualified Intermediary: Your Realtor® and/or accountant should be able to help you locate a trustworthy and professional intermediary. List your Property for Sale: Your agent should include language in the listing paperwork regarding your desire to do a 1031 Exchange and the buyers willingness to “play along” (especially regarding timeline). Begin Searching for Replacement Properties: Remember, the second your relinquished property is sold, the 45-day countdown begins. Therefore, time is of the essence! 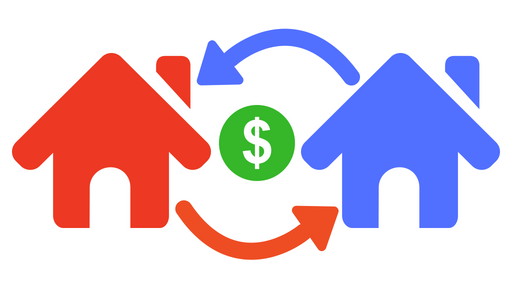 Negotiate and Accept an Offer: When you accept an offer on the property you are selling, you will need to make sure the paperwork clearly states that you will be utilizing a 1031 exchange. While this won’t require extra work for your buyer it is important that they sign off on certain paperwork, such as assignments or disclosures. Close on the Sale of Your Relinquished Property: As with any other real estate transaction, a title company or attorney will still handle the closing; however, your qualified intermediary will be actively involved in the process and the funds will transfer to their bank account, not yours. Identify Several Properties Within 45-Days: You can identify up to three properties (or more if you close on 95% of them or the total combined value is less than 200% of the sales price of your relinquished property). Identify First-Choice Property and Sign a Contract: As with most things, you will most likely have a standout favorite among your three identified properties. Get that property under contract and open escrow (again, making sure that the seller of the property knows you are purchasing through a 1031 exchange). It may make sense for you to use contingency clauses to go under contract on all three of your identified properties. A good Realtor® will help you leverage contingency clauses to enable you to back out on the property/properties that you decide to pass on. Your Agent and Intermediary will Work with the Title Company: Your intermediary will work directly with the title company to make sure that everything is 100% abides with the rules of a 1031 exchange. This is typically a fairly simple process - and should be one that both your trusted Realtor® and professional intermediary are familiar with. Close on Your Replacement Property: Finally, your qualified intermediary will transfer your money over to the title company and the property will close like any other real estate transaction. The beauty of a 1031 exchange is that you can repeat the process repeatedly - thus deferring taxes indefinitely! This will likely allow you to grow considerable more wealth than if you had simply paid taxes on each transaction. So, while a 1031 Exchange may be slightly complicated, the long-term benefits of using this tax benefit can pack a tremendous punch in helping create your future wealth and should be considered by serious real estate investors who are in the game for the long haul. But remember, if you are considering a 1031 exchange it’s crucial that you work with qualified professionals who can properly explain your options.